Nothing says friendship like pizza, or does it? 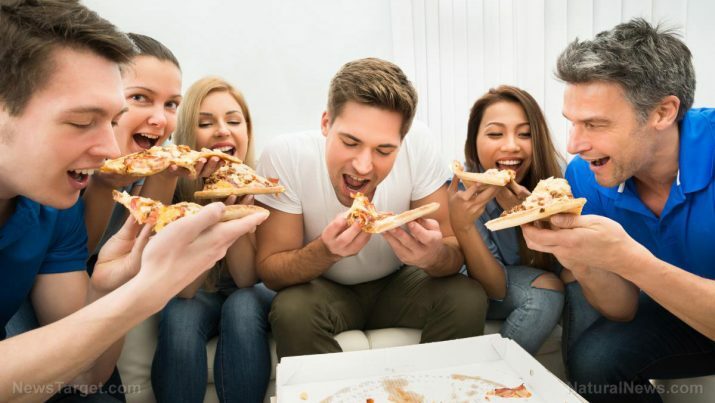 A recent study of college students at Massachusetts Institute of Technology (MIT) found that a staggering 98 percent were willing to give up their friends’ email addresses for a slice of pizza — not even a whole pizza, just one piece. Clearly, kids these days don’t have their priorities straight. The research, led by the National Bureau of Economic Research, surveyed 3,108 MIT attendees. In their research, half of the group was offered a slice of pizza to betray their friends’ privacy and cough up their email addresses. The overwhelming majority couldn’t pass up a slice of the good stuff. But what is even more surprising is how many students were willing to give up their friends’ email addresses with no incentive at all. The researchers found that even without a tasty treat, a shocking 94 percent of MIT students were still willing to share their friends’ emails. In the non-incentivized group, just six percent of students presented phony email addresses to protect their friends, compared to two percent in the pizza group. However, it is worth noting that not giving up the email addresses was actually not an option for the survey. Kids were essentially given two options: Give up the real emails, or make up fake ones. Do Americans prefer pizza or privacy? These findings lie in stark contrast to the commonly held belief that Americans value their privacy. Pew Research data has shown that roughly three-quarters of United States citizens say that it is “very important” to have control over who can obtain information about them. And, six out of ten people also claim that “they would never be comfortable sharing their email contacts.” And yet, there’s that 98 percent of college students who’d give up their friends’ emails just for some pizza. Even though people say they value their privacy, it seems as if younger generations are slowly losing sight of what “privacy” really means. In the ever-growing digital world, the concept of a “private life” is clearly diminishing. Across all fronts, true privacy is becoming an increasingly rare thing. From social media to data collection to hackers, and everything in between, it’s clear that people are losing track of what “privacy” actually entails. Furthermore, in today’s digital world, where it often seems that every detail of your life is up for grabs, it’s becoming increasingly easy to become a victim of a cyber crime. Many Americans seem to struggle with understanding that their digital life is not in fact a private life, and that there are serious risks that come with this new cyber world that’s been created. For example, the passwords “123456” and “password” are still the top passwords for email addresses cracked by hackers. It’s 2017, not 1997; no one should still be using those two choices as passwords for important accounts like email or bank accounts anymore. And yet, they still are fairly common. Privacy is something that was once revered, but now seems to be rather misunderstood. In the digital age, if you do not take precautions to secure your information, you cannot just assume it’s safe. You never know when someone with a slice of pizza is going to come around.